In 2015, the United Nations adopted the Paris Agreement in an effort to contain the Earth’s temperature rise to less than 2 degrees Celsius above pre-industrial levels — preferably just 1.5 degrees. 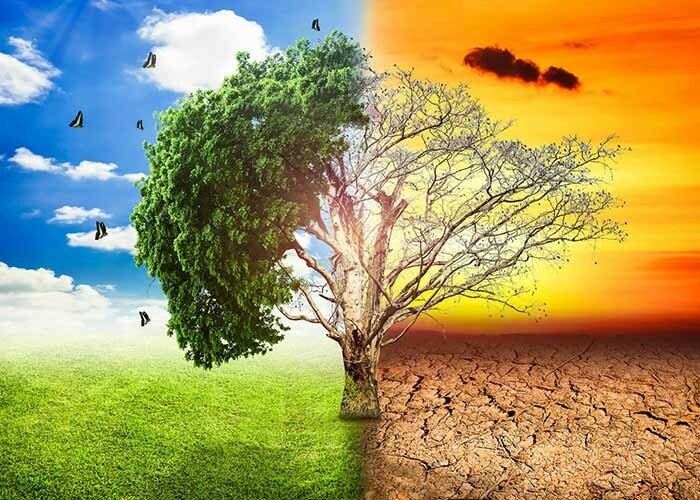 As part of the Paris Agreement negotiations, the United Nations Framework Convention on Climate Change (UNFCCC) asked the Intergovernmental Panel on Climate Change (IPCC) to prepare a special report on potential pathways to meeting the 1.5 degree goal. That report — which bears the unwieldy title Global Warming of 1.5℃, an IPCC special report on the impacts of global warming of 1.5℃ above pre-industrial levels and related global greenhouse gas emission pathways, in the context of strengthening the global response to the threat of climate change, sustainable development, and efforts to eradicate poverty — arrived three years later, at the tail end of 2018. Amid pages of detailed scientific analysis, the Report makes one thing clear: In order to arrest global warming at the threshold of disaster, we need to significantly reduce or even eliminate carbon pollution. Half measures won’t be enough to escape the worst effects of climate change, including droughts, floods, extreme weather events, the sinking of island nations, dwindling food and water supplies…and, for those more financially motivated, an estimated damage cost of $54 trillion. Investment in clean power and energy efficiency will have to roughly double over the next two decades. Companies and governments will need to cut spending on fossil-fuel extraction and use by something like 25 percent over the same timespan. By 2050 or thereabouts, most of the world’s primary energy must come from renewable sources. The precise technologies aren’t necessarily defined — different combinations of solar, wind, hydro, and bioenergy will accomplish the same goal. Most scenarios in the Report also imagine an increase in the use of nuclear energy. But every possible road to the 1.5℃ threshold requires renewable energy sources to significantly increase in the coming years, while coal power decreases apace. On the supply side, wind, solar, and biomass energy will have to become dominant — between 36 and 97 percent of all primary supplies, depending on the scenario. Fossil fuels must decline to less than 34 percent of the world’s total energy, with some pathways requiring complete abstinence from fossil-fuel-derived power. While energy supplies convert to renewables, technologies on the demand side will need to switch to electricity. Transportation, heating, industry, and other heavy energy users must convert to electric power, driven by renewable sources. In order to meet these goals, clean energy providers should embark on significant outreach campaigns. The IPCC Report is pretty dense for the casual reader; the companies that stand to grow in response to the move toward clean energy are in a singular position to educate consumers on data like those covered in the Report. The good news is that help is available. KAOH Media specializes in marketing, public relations, and community outreach for clean energy projects. Contact us to start engaging publicly about the necessity of a more renewable future. As the IPCC Report clearly demonstrates, the time to act is now.